Sommeliers or ‘Somms’ get plenty of comments in the wine press. Wine writer Jeni Port emailed me one day saying “I love your series, particularly the interview with Irina”, at the time she suggested that if I were ever in Newcastle, I should call in on Patrick Haddock at the Reserve Wine Bar. 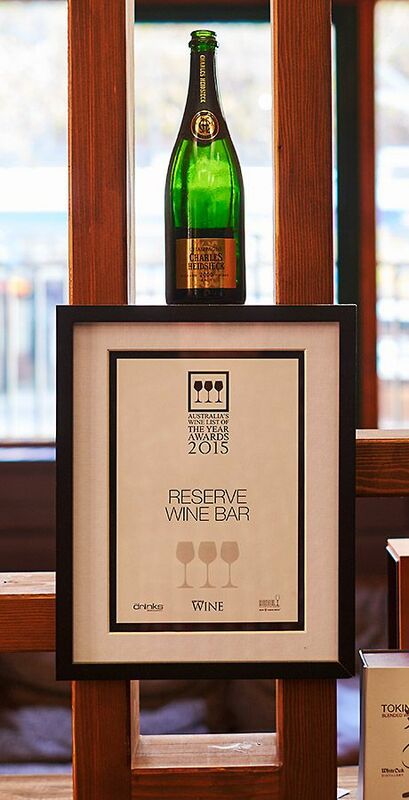 Reserve Wine Bar Newcastle : Photo © Milton Wordley. She described Patrick as a proper ‘Somm’, who oversees a magnificent wine list that wouldn’t be out of place in Melbourne or Sydney. Jeni is an experienced wine writer, if Jeni says go talk to someone – I reckon it’s worth following up. So the last time I was in Newcastle I did, and Patrick does indeed oversee one of the best lists I have seen in this country. How did you get into the wine trade ? I grew up in the UK and started my wine journey there in London working in wine shops, definitely not as a sommelier – it was straight up retail. I was just earning money to put me through university. I studied Drama and English. The shop was ‘Wine Rack and Thresher’ which would be similar to Odd Bins, at that time one of the High street chains. When did you come to Australia, and what did you do here ? I left the UK to come to Australia travelling in 1997 and just stayed. I’ve been here nearly 20 years, it has all gone very quickly. I found myself working in advertising doing copy writing ; worked for Leo Burnett then had a little stint at a tiny advertising place called Fred St which was run by two creatives. Jane Caro used to be one of the writers there, she was very helpful in my early years of honing copy. I was in advertising for the first 4 or 5 years here and then an ad came up – ‘Do you like wine …do you like writing ?’ – it was an advertisement for direct market company Cellarmasters, who at the time were the top of the game in terms of direct market wine selling. 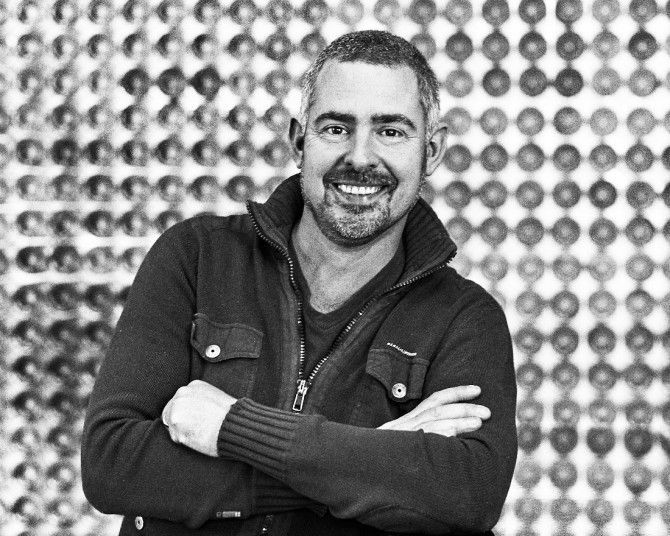 My first interview there was with the creative director who happened to be Nick Ryan ….. larger than life was Nick, I see he’s just got a new gig with the Australian – he will probably deny that he ever worked at Cellarmasters – but he employed me. I have to be thankful for him for getting me slightly hooked as soon as I started. It was a fun time, as long as we got our work done by Friday midday, we went and had an extraordinarily long lunch – back in the days when you could. We had a really good wine education program run by Christine Ricketts, studied wines of the world and it just sort of became a passion. I was at Cellarmasters for about two and a half years – not that long really – and then I got the opportunity to come here to Newcastle as creative director with a rival company Wine Selectors. Wine selectors had Selector magazine and they started sending me on assignments to do food and wine writing. Then in 2010 on the back of two articles I got nominated for the Cordon Bleu best wine writer that year. It gave me some confidence to write for myself, so I started a blog called ‘WININGPOM’, a labour of love back in the day when we were all doing them. 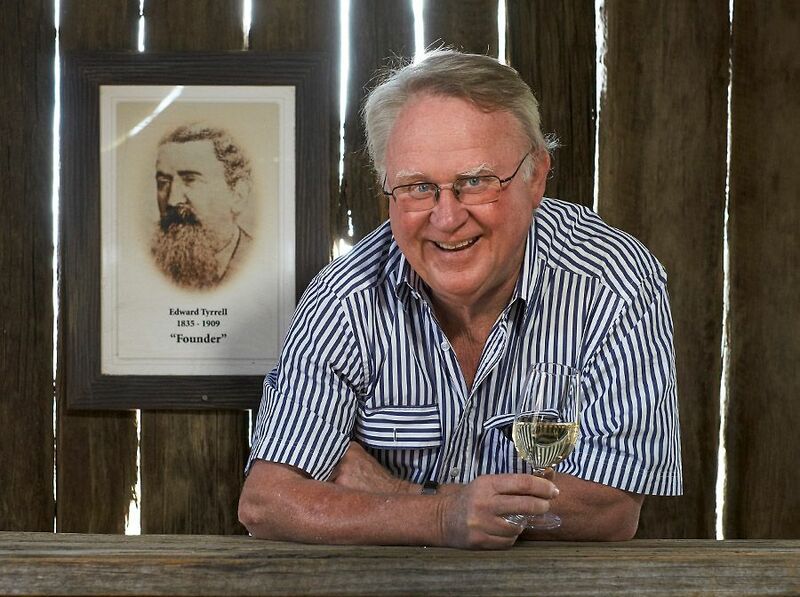 Five years ago I got retrenched from Wine Selectors – I still had the blog so I decided I would try and do content for wineries, social media and general writing – it was a combination of the three. I knew so many people in the industry and I enjoyed writing. 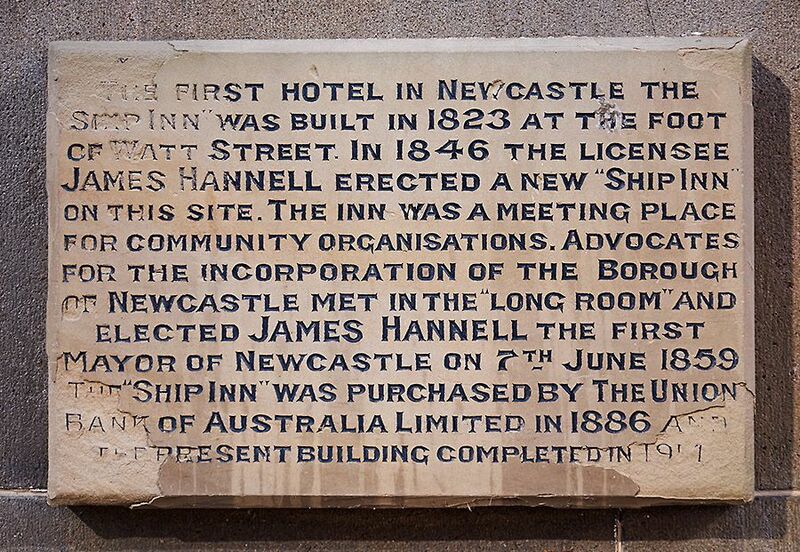 I ended up staying in Newcastle. I think that is more to do with when your life changes with a major event like having children. You have to re-evaluate where you are at, I thought – why move back to Sydney, it’s very expensive and life here with young kids is actually really good – there are great beaches… plenty of parks. People from here are fiercely proud – you often hear the term “proud Novocastrian”… this is their patch …. I liked it here. Newcastle’s ‘Bar Beach ‘ : Photo © Shannon Hartigan. 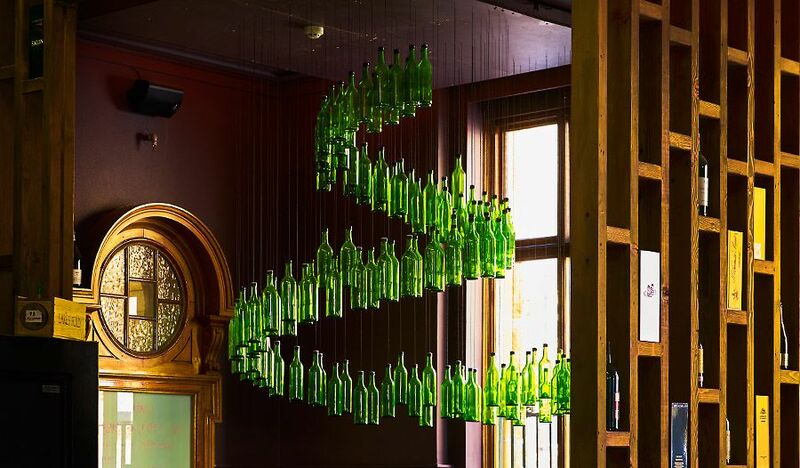 What’s the background to starting Reserve Wine bar, and what did you set out to create ? It was October 2013 that we launched, but we had been working on the project for well over a year. One of the places where I wrote my wine articles was a local cafe. I used to bring in my wine sample bottles to the guys that ran it each day in return for coffee. One of their mutual friends had found a space and was looking for someone that had a good grounding in wine. The next thing I know we’re working on this project and I became a majority shareholder. In our first year we were lucky enough to get a 3 glass rating from Gourmet traveller wine magazine for our wine list, the first place in NSW outside of Sydney. No one else in the regions had a three glass rating, it was unheard of in Newcastle. Around the time we opened it was very buoyant, but the biggest struggle was mid week in this city, still is – this city is about people coming out at weekends. We don’t have an enormous population in the CBD. Within the next few years there are quite a few apartments being built nearby – so we do see this as a promising growth period. But right now we have to really engage to get people in. Wine culture in Newcastle ? There is a wine culture here, but a lot of people have very good cellars at home so don’t feel the need to come out… I’ve got to give them reasons to come out. Tastings and wine dinners – I’ve done more wine dinners in three years that any of my contemporaries in Sydney or Melbourne. I’ve probably done 36 wine dinners on Tuesday and Thursday nights to get people to come out – its been the most valuable thing we’ve done. It’s always with a winemaker. Yarra Yering poured at the official third birthday dinner October 2016 : Photo supplied by Reserve Wine bar. On our landmark birthday we’ve had Lakes Folly twice and we’ve had Felton Road and then we’ve had Clonakilla, Tyrell’s and so many in between as well .. Shaw and Smith have come twice, along with a whole host of local ones like Thomas and Mike Julius… you know the list goes on and we keep going. It’s been great – I’ve really valued the friendships with winemakers. It has made it a vibrant thing, people say where do you go for a glass of wine in Newcastle and most people would say here. 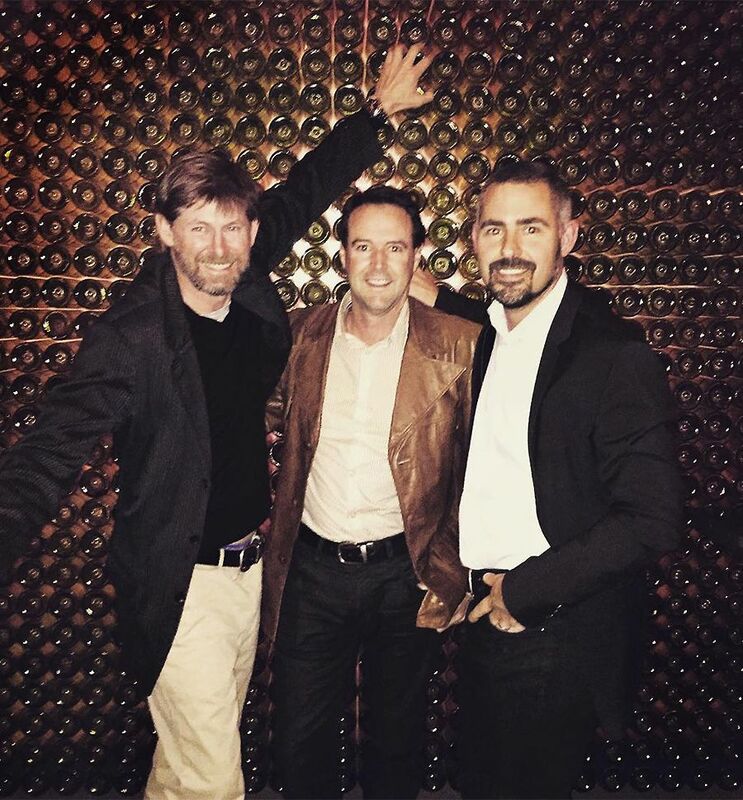 Patrick with Pj Charteris and Blair Walter from Felton Road : Photo supplied by Reserve Wine bar. There are not many other wine bars here. The best other list in Newcastle is at the Newcastle Club, a 100 year old private members club – my mate Matt runs the list, he does a great job – but no one knows about it, because unless you pay your membership fee ….. also its all very much ‘suit and tie’ up there ….It works for them and that’s great. I think we’ve also got a lot of good return customers from our events – we’ve been very lucky with our regulars who come back – come to every tasting. We know there are people out there who enjoy wine – we know that they are happy to come along and get involved. Food, what are you up to at Reserve ? We’ve been through many changes with our food over the years. When we opened I was totally happy with our food offering, but increasingly Newcastle is becoming quite a food hub so we had to keep working out what would resonate. 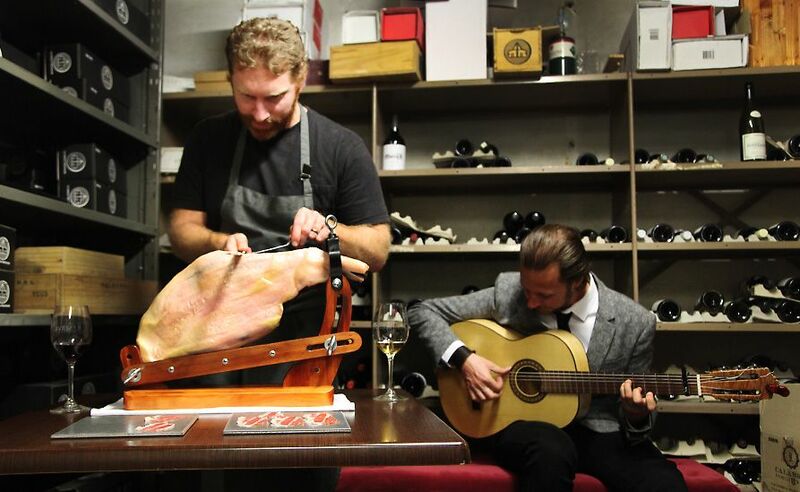 Carving up in the vaullt : Photo supplied by Reserve Wine bar. Last year we were lucky enough to snare Cory Campbell (ex Vue de monde) for six months but in some ways his food was too sophisticated and we needed to simplify. A mutual chef friend introduced me to Sam Alexander, who was a local Singleton lad with Egyptian heritage. 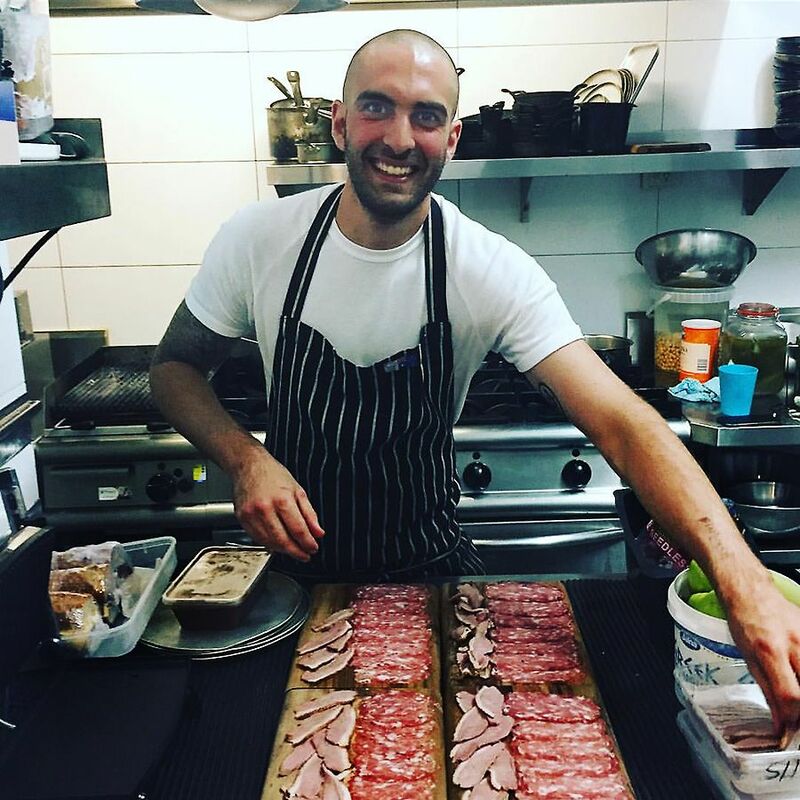 Chef, Sam Alexander : Photo supplied by Reserve Wine bar. Sam had been running a local market stall doing kebabs and felafel but I soon realised he had quite a resumé. He had trained in the Hunter, then went to Fins at Byron Bay; he returned to the Valley to work for Robert Molines and became his head chef. He then hit the big smoke and did stints with Icebergs and North Bondi Fish with Robert Marchetti and finally to the Merivale group cooking with Jeremy Strode at Bistro CBD. Sam’s food revolves around the classics with a French influence but his food increasingly reflects his heritage with Middle Eastern flavours integrating into what he calls ‘honest food’ – simple yet delicious. 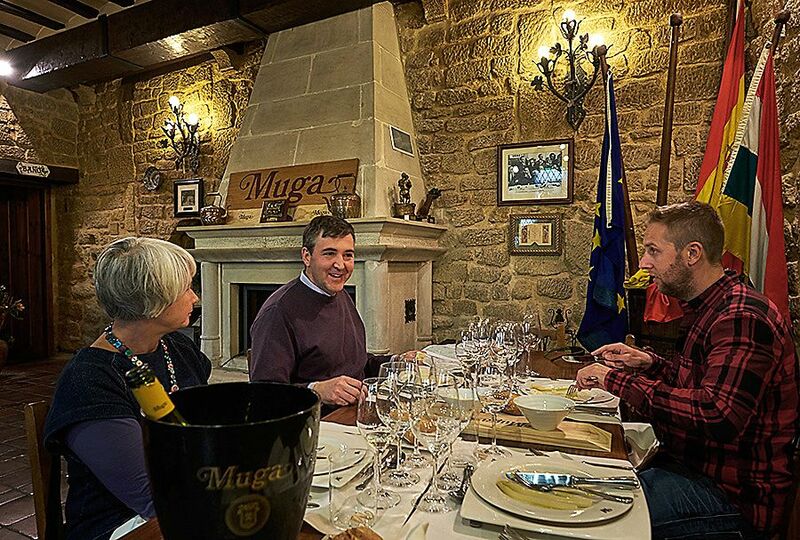 What do you think food and wine say about a culture ? I think it is changing, people are certainly more broadminded these days – travel is a big aspect of that – never has the world been more connected. I think more and more people are putting it together and understanding that it is a happy marriage. For me, growing up in England ….we had wine on the table, but my parents didn’t know what wine would go with what.. in the eighties they were probably drinking Bulgarian reds, which probably had antifreeze in them ! They weren’t connoisseurs by any means. There is such a shift, a seismic shift, these days in what it all means and I suppose reality TV has really pushed a lot of that into the forefront, particularly with food. It’s a bit different with wine….these days there is probably nothing more satisfying for me than finding someone here engaging in the moment. And then combine it with food . When you are talking about food and wine as a culture we are all getting more sophisticated – especially in Newcastle . Jeni has described you as a proper sommelier – you say that you are not a sommelier…. 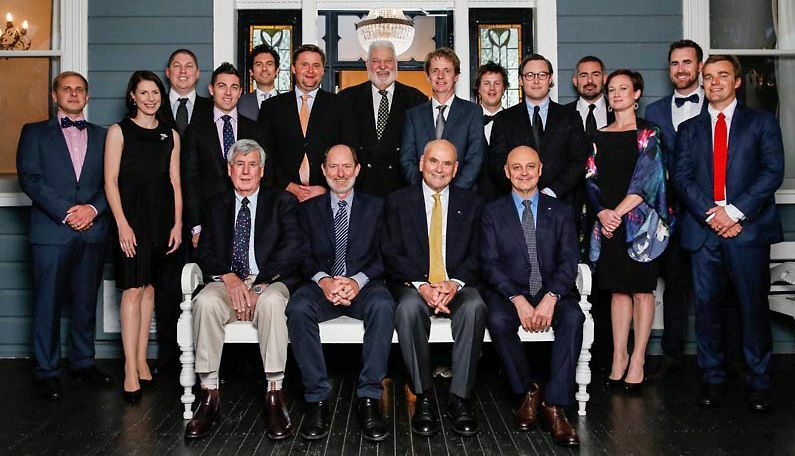 what does the term a ‘Proper Somm’ mean to you ? A proper sommelier for me gives me the image of someone in a suit, a wine professional who has trained and studied hard – but I think I have come at it from a very different angle. 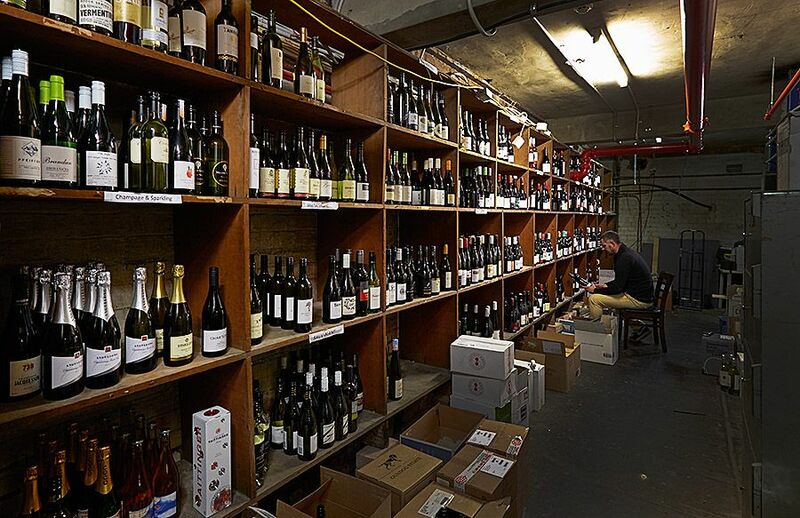 I think I come at it from a more commercial aspect – of knowing what it is to be a wine punter. I’m sure I have, especially in Sydney as I know a lot of sommeliers there. 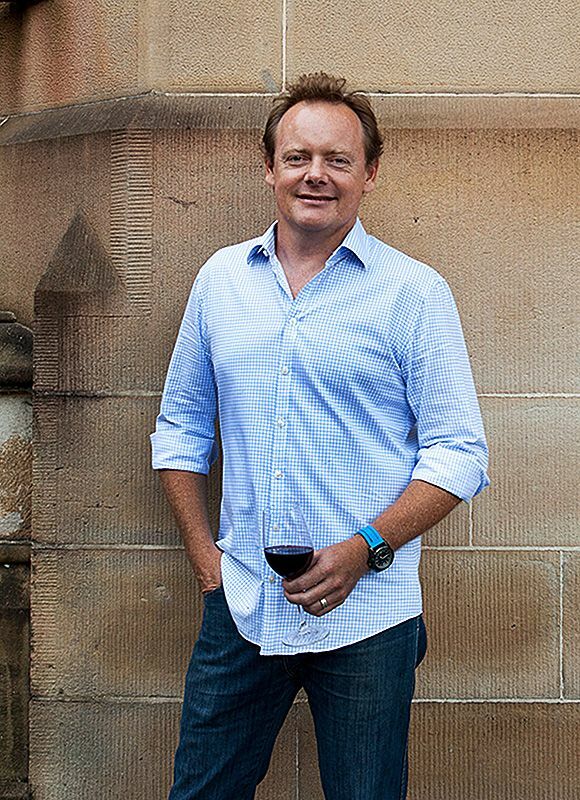 ‘Fix Wine’ Sommelier Stuart Knox : Photo supplied by Fix. 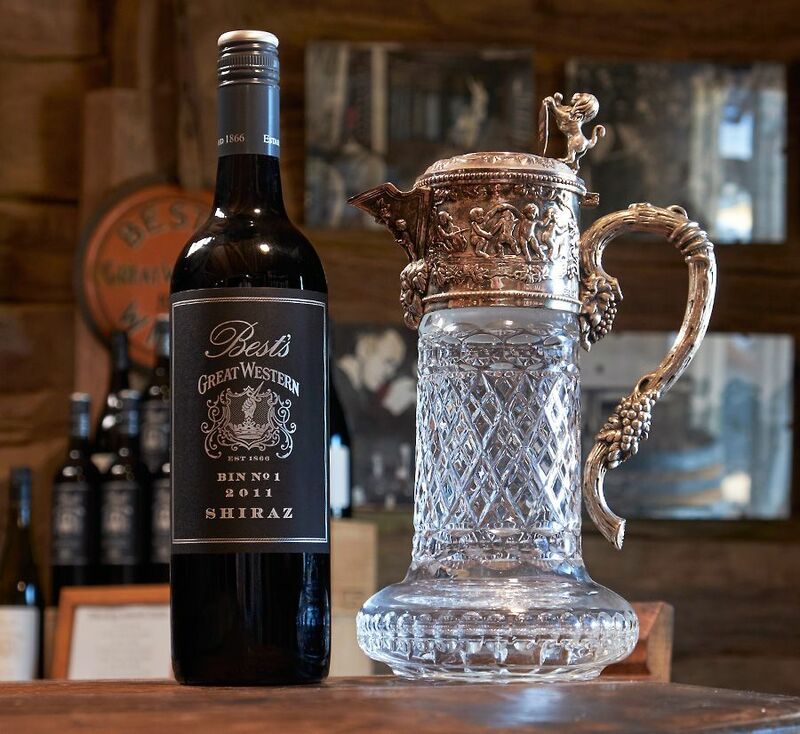 Places that have influenced me were bars like Fix run by Stuart Knox – he was sommelier of the year for a while – and the Wine Library in Woolahra. I remember places where I think I’ve had really good fun and connected with people or I’ve just had a nice evening where it is just simply good food, wine and people. There are other places like ‘Love Tilly Divine’ and ‘Bar Brose’ which is great for its slightly off the wall list. There’s also restaurant Hubert which isn’t necessarily a wine bar – but it is an extraordinary experience; it only recently opened but any critic worth their salt has just embraced it for what it is. You go down almost to another world – two staircases down and you are in 1920s Paris – the list is 600 strong and its just amazing, you are just carried away by this atmosphere. I think that’s it, it’s about creating something unique. Where do you see the future trends ? I think there is a massive massive shift towards sustainable and natural wine for want of a better term. 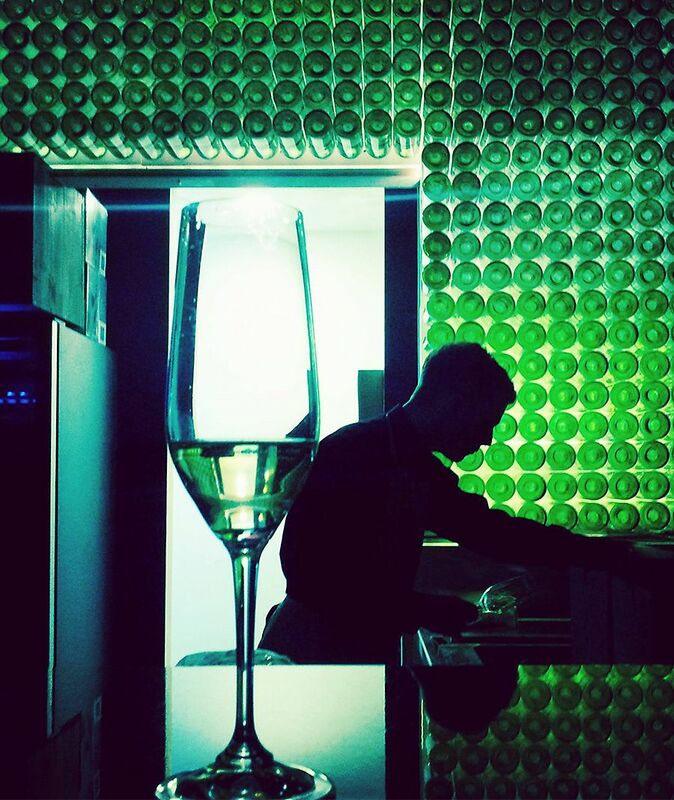 Theres a lot of people pushing that – some sommeliers pushing it much too much. 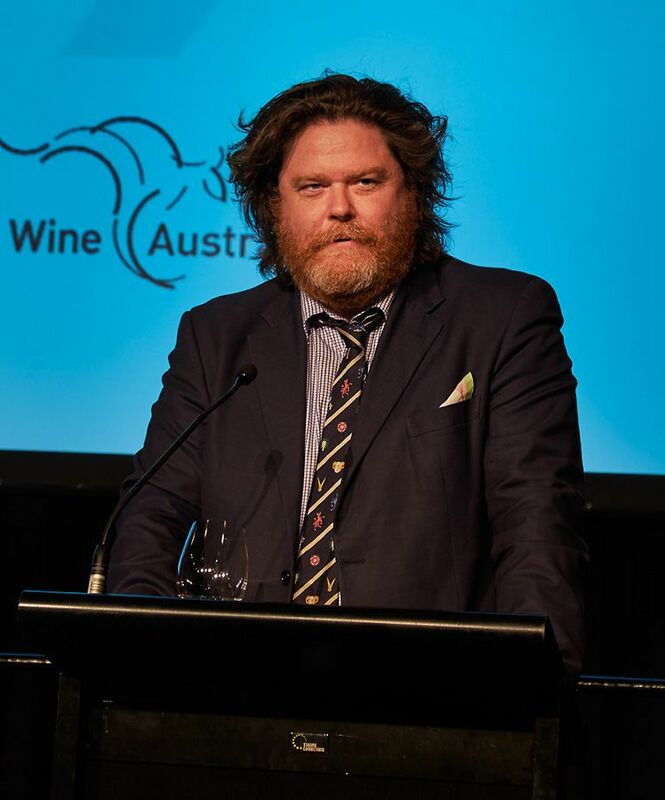 Bruce Tyrell tells a very funny story of going to a wine bar in Melbourne and he said there was wine served to him that he couldn’t drink – it was just totally volatile. He said to the Somm, “This is undrinkable” and the guy looked at him and said …”You don’t understand it sir”, …saying that to Bruce Tyrell, how’s that ? Bruce tells me that he said, “I’m trying to look through it, but all I can see is volatility”….. There is a movement for and against it, but we’ve got to be careful about putting ourselves in divisive camps… everyone needs to be slightly open minded about it. I think in the future people will be increasingly questioning where things are coming from and what they are putting down their throats. I do understand why people ask where the beef is reared or where the lamb comes from or is this fish sustainably caught ? I think it is the same thing with wine – a lot of people are asking me these things. I get a lot of questions about sulphides and preservatives and I’m seeing this as a trend. I don’t list many natural wines but I do understand why people are asking the questions. I think there will be sommeliers that will always push far too many natural wines because it is a trendy thing but I think we have to listen to the consumer as well. I think medium bodied mediterranean styles are going to continue to be championed, but big reds still have their place. I think the medium bodied stuff is being pushed again by the Somms, plus a lot of winemakers and wine show judges – I judge a few wine shows. You see the results, like the Jimmy Watson in the last 4 years, each time it has been won by a medium bodied, cool climate shiraz or pinot. Imagine in the 70s if a pinot had won – it would have been unheard of. In our business, there is also a trend towards people wanting more variety. The days of patrons ordering a whole bottle are gone, people want to try new things .. we do wine flights – 3 little half pours for $20 – its really something to have a bit fun with and learn something along the way. I think people come in wanting to try different things…. smaller plates and it could be three different things with three different glasses of wine. When you were creating the list how did you go about it ? 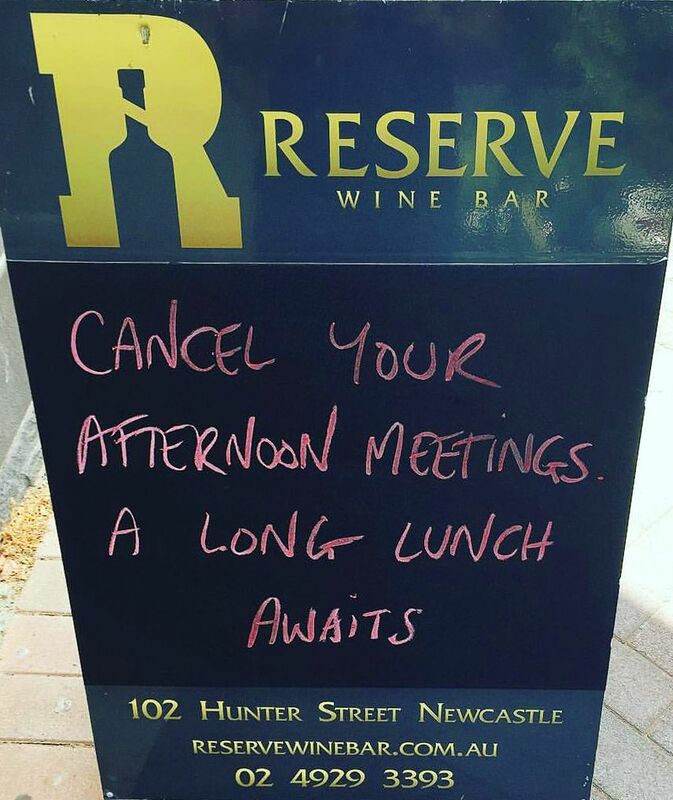 Long Lunches : Photo supplied by Reserve Wine bar. I think you have always got to bring in a bit of our own personality to it. I went heavy on riesling, I went heavy on chardonnay and pinot because they are my favourites, I drink a lot of them and I think I know which ones excite me. But it’s also all about balance, you’ve got to have a list that is balanced, it’s like wine itself it’s got to have a bit of everything, it’s got to not be just your own taste – you’ve got to have a bit of a commercial aspect too. There are many somms who wouldn’t dare put a ‘sav blanc’ on their list. For me, you are stupid not to … but choose a good one, you cant just dismiss them and say it’s ‘sav blanc’ it’s a filthy weed. What I do try to do is to engage customers. The first question I ask is, “What do you drink?” – ….they might say ‘sav blanc’. And I’ll say, “well I’m not going to give you a ‘sav blanc’, why not try something similar like piquepoul or vermentino, something that is just a little bit different but not a million miles away.” They usually like it. 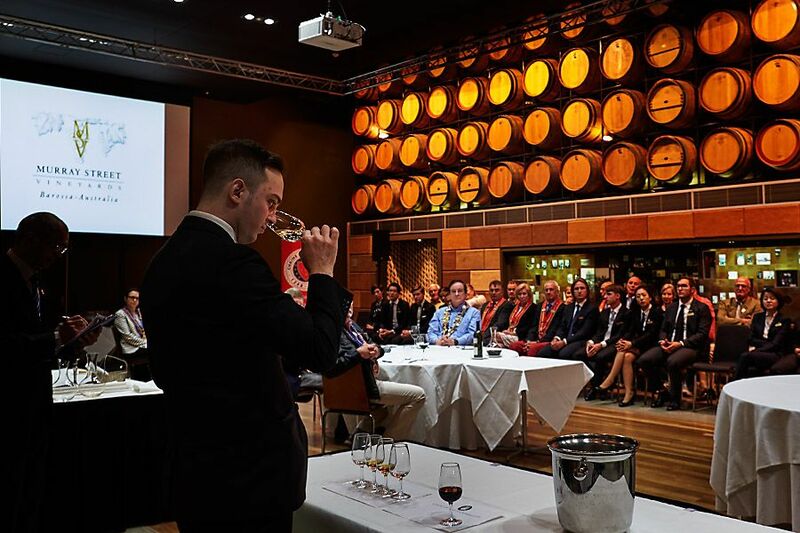 So you’re not a sommelier, but what is your advice to budding sommeliers ? Reserve Bar back wall : Photo supplied by Reserve Wine bar. I think be open minded – don’t set agendas – listen to your customers. I know lots of ‘somms’, they are my friends. We have had great conversations over the last few years. It’s not like I’m trying to steal their mantle by doing what I do. It’s just that I happen to own a wine bar….I have just curated a good list and I think I understand what people want. I was lucky enough to do Len Evans’ tutorial in 2015. I applied for 5 years in a row, and finally got accepted. Then you walk out and I still can’t process the five days and the wines we looked at. “you’ve got to drink that up because the next lot are coming”. So its just an extraordinary sensory overload – but from there I had an 1875 Madeira just in a tiny bracket at the end of dinner. To put it in context, the ’70 La Tour is a wine which was made two years before I was born and it is just extraordinary. 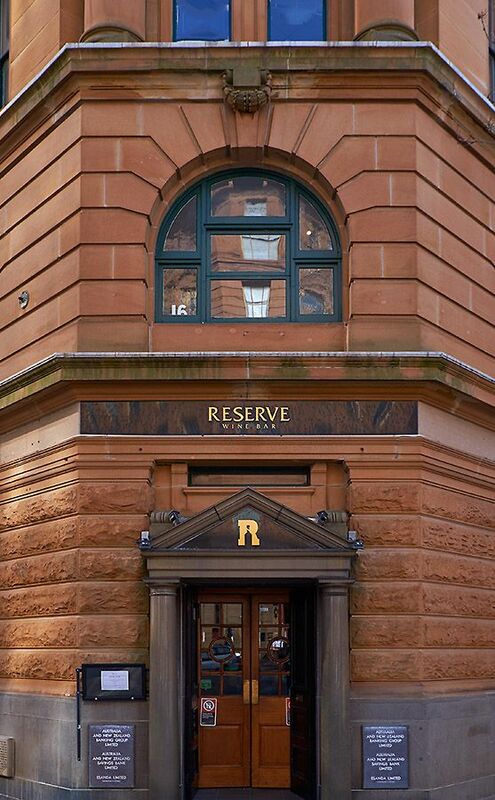 Reserve’s Bank building historical plaque : Photo © Milton Wordley.